An inquest into the Sydney cafe siege has heard that hostage Katrina Dawson was killed by fragments from a police bullet or bullets. Another hostage, cafe manager Tori Johnson, was killed by a bullet to the head from gunman Man Haron Monis. 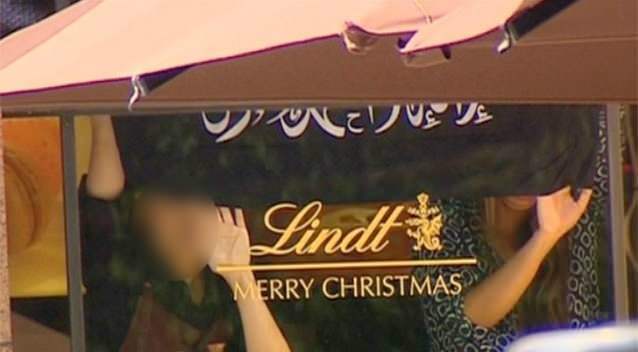 The café manager’s death prompted police to storm the Lindt Chocolate Cafe and kill Man Haron Monis. The inquest aims to establish whether deaths were avoidable and if it should have been treated as a terrorist event. Eighteen people were taken hostage. The stand-off at the cafe in Martin Place in Sydney’s business district on December 15 led to a massive police operation and the shutdown of a large part of the city centre. At the opening of the coroner’s inquest in Sydney, Jeremy Gormly, the lawyer assisting the state coroner, said Katrina Dawson was “struck by six fragments of a police bullet or bullets which ricocheted from hard surfaces into her body”. Australian media reports earlier this month had indicated that Katrina Dawson, a 38-year-old barrister and mother of three young children, had died after being hit in the heart and shoulder by fragments from a police bullet. The inquest heard that Man Haron Monis entered the cafe on the morning of December 15 with a sawn-off shotgun hidden in a plastic bag. Later that morning, Man Haron Monis ordered Tori Johnson to phone Australia’s emergency number. He ordered the cafe manager to say that Australia was under attack from Islamic State militants and that Man Haron Monis had planted radio-controlled bombs around the busy Sydney tourist precinct, Circular Quay, and Martin Place – none of which was true. A number of hostages managed to escape as the siege went on, then at 02:00 local time on December 16, special police stormed the cafe after a police marksman saw Man Haron Monis shoot the kneeling Tori Johnson in the back of the head. Earlier unconfirmed reports in the Australian press had said Tori Johnson was shot while trying to disarm Man Haron Monis, but this was not mentioned by the coronial report. The inquest heard that Man Haron Monis was killed instantly when police entered the cafe. At least two police bullets hit him in the head and 11 other bullets or fragments struck his body. The police used stun grenades, known as flash bangs, as they went in. Man Haron Monis fired five shots during the entire siege, the inquest heard. The first shot was directed at hostages as they fled the scene. He then shot Tori Johnson. The other bullets were fired when police stormed the cafe. Man Haron Monis was later found to have had 21 more cartridges in his pocket. Man Haron Monis, who came to Australia as a refugee from Iran, had a history of religious activism and was on bail at the time of the siege for dozens of s**ual assault charges and for being an accessory to the murder of his ex-wife. He claimed to be a cleric and asked his hostages to display an Islamic flag during the siege. However, questions remain about whether he had any links to international militant networks. His partner Amirah Droudis, who is also facing murder charges over his ex-wife, will be represented at the inquest. “Rarely have such horrifying events unfolded so publicly,” New South Wales coroner Michael Barnes told the court. Six of Tori Johnson’s family members attended the session. None of Katrina Dawson’s family were present. The inquest has now adjourned. A date has yet to be announced for the next hearing. All the surviving hostages are expected to give evidence. Meanwhile other investigations into the siege are continuing, including a joint federal and New South Wales state government review of why Man Haron Monis was given asylum and eventually citizenship in Australia and why he was granted bail in 2013.